Nathan soon discovers that being half dead isn't all bad. He doesn't need any sleep, so he can stay up all night and play games online. He doesn't feel any pain, so there's no need to worry about Rodney the bully anymore. Still, Nathan would rather be human. Will he find a cure? Or will Nathan be half-dead forever? 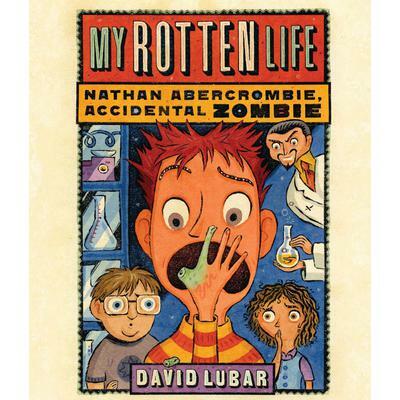 Fans of David Lubar's popular Weenies short story collections—which have sold more than one million copies—will love My Rotten Life, the first of a series of hilariously rotten adventures starring Nathan Abercrombie, Accidental Zombie.